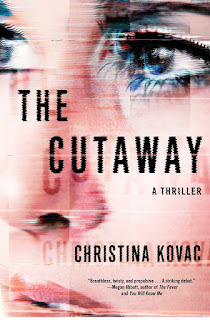 Christina Kovac reads from her new novel, The Cutaway, at the East City Bookshop, Pennsylvania Avenue, SE at 6:30 p.m. on Wednesday, March 29. I was a television news girl. It was a great career, and during that time I wrote and thought like a journalist. When I wanted to try my hand at fiction, I had to change how I thought. I turned to The Writer’s Center for instruction and took a workshop called “How to Create a Page Turner” with Jim Mathews. I had read and loved Jim’s collection of short stories, Last Known Position. On that first night, he talked about the craft. He wrote exactly the way I wanted to write. Later, Jim read my submission, which became the first three chapters of my debut novel, The Cutaway. “Don’t give up on this,” he said. Those five words of encouragement kept me going through years of writing and rewriting until I no longer had an idea if the manuscript was good. I was too close. Another workshop leader, Hildie Block, said my confusion meant I was ready to search for an agent. Hildie helped me go through a list of literary agents, picking out the best for me, and I sent out (maybe fifty) queries the way I do everything, which is all at once: sink or swim. Half of the agents responded, all with different requests: five pages or chapters or full manuscripts, some wanted C.V.s and outlines, others wanted half manuscripts printed out and overnighted. Amidst the confusion, I got an email reply from Dan Conaway at Writer’s House. Hey, send some chapters. Thanks. So chill. I liked him. Immediately. When he offered to represent me, he explained that his hand moved to the phone when he read only the first two lines, but he stopped and read on. After the second chapter, he knew. There’s a music he hears with writers he wants to represent, he said. Music, he said. He’d heard me. That’s when I knew he was the agent for me. Together we worked on finishing touches to sell the manuscript. Dan had a heavy editor hand—all brilliant ideas. He’s incredibly talented. Everything he suggested I did, sometimes pushing farther, which delighted him. It was the beginning of a great partnership. He became more than an agent, editor, or mentor. He became my friend. We sold The Cutaway in a two-book deal to Dawn Davis at Atria Books. I nearly passed out when Dan told me. After all, Dawn Davis had been Edward P. Jones’s editor for The Known World, one of my all-time favorite books. Dawn is as amazing as you’d imagine. Dan went on to sell the TV rights to my book to Howard Gordon, creator of Homeland, for 20th Century Fox. Mathew’s workshop. Hope I never wake up. Interview with Rasaq Malik, Poet Lore Pushcart Prize Nominee. 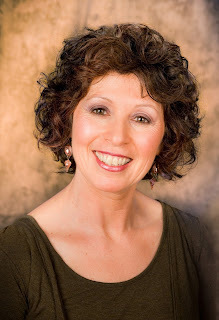 Interview conducted by Ellie Tipton, managing editor of Poet Lore. This is the fourth interview with our six nominees. in our mouths are Allahu Akbar. of God, until our eyes spill tears. the sick gasping for breath in hospitals. we will learn how to survive another night. ET: Can you tell our readers where you are from? RM: I am from Nigeria. I was born and bred in Iseyin, Oyo state. ET: I am gripped by this poem’s force and forward momentum. The repetition built within the poem and the syntactical structure of the stanza drive the movement forward. I feel so within the space of the poem that I must remind myself it is a constructed space. Can you talk a little about your process? Did the poem rush out of you onto the page or did you accumulate your father’s phrases and slowly stitch them into the poem? Or, is there something in between these processes that is more reflective of how you composed it? RM: This poem struck my mind the moment I read some articles about the Israelites’ “continuous attacks” on Gaza. Many Palestinians died; mostly children. I pondered on many tragic happenings in the world. Children are always at the risk of being massacred. In Nigeria, the boko harams ravage the Northern part of the country. They throw bombs and destroy houses. Many northerners are exiles in their homeland. Recently, there was a bomb blast by Nigerian air force, which was said to be “accidental” at an IDP camp in Borno. I mean there is this universality of war that haunts me. The world experiences annihilation. In Gaza, in Syria, in Aleppo, etc, there is no peace. People wake every dawn to realize there is war lurking in the air. They wake to the sound of bullets, and safety seems to be a dystopian dream. In addition, I would love to say that this poem, apart from being inspired by the violence around us, it also captures the struggle we encounter when inhabiting a troubled place. It talks about the parental fear, and the use of “father” connotes the inherent care showered on the children by their parents. Every mother wants her children to be safe, from war, from blasts, from carnage, from missiles, etc. Writing the poem did not take me months. I spent some weeks and revisited it. My ritual is: a poem needs to speak to the soul. It should be able to paint events through the careful handling of language. Since it carries every language, it should speak to humanity. ET: What do you feel that this poem can teach Americans? RM: This poem is dedicated to everybody because the irrefutable fact is that we lose parts of ourselves when we pursue the mundane things. The only solace is narrating our stories to the world, to people. This poem should teach us how, as humans, we should be compassionate and peaceful to others. There is no peace in war, and no matter how we try to escape, there will always be testaments of ruins created by man’s inhumanity to man, man’s unrestrained act of unleashing terror and torture to his other man. America and the world should realize that it takes time to heal, if there is a sure healing at all for the victims of war. Being human transcends bearing a name. It transcends our physical features. Being human means kindness and love for other humans. Being human means embracing others and allowing them into your life. ET: Along those lines, it appears to me from reading your poetry that poetry is a lifeline for you. But I’m curious to hear in your own words: what does poetry mean to you? RM: Poetry is what leads me to my desk to write even when my body aches. It is the eternal silence of a departed soul. It is the scarred face of a war-victim. It is the grief of children abandoned during war. It is what haunts, what shocks, what invokes, what breathes, what rises, and what glows. It is the documentation of world’s diverse experiences. It operates as an archive, a library for unborn generations to learn about their antecedents. Poetry is sitting in a room to paint the thoughts of people walking the streets, the dreams of people sweating under the sun, and the cravings of people living as aliens in their homelands. To me, poetry is a perfect photographer. It depicts and portrays every man’s countless dreams through the deployment of verses that seek a deep soul to comprehend. Poetry survives death because it immortalizes life. It recreates and reincarnates people through words. Like a character named Style in “Sizwe Bansi is Dead” by Athol Fugard, poetry is a perfect photographer. It saves the memories of important events in our lives. It electrifies and magnetizes our souls. It brings us together to narrate our collective struggles. It binds and unchains us. It is an unrestrained freedom. ET: Wow. Thank you for that impassioned response. I’m very curious to learn more about your perspective as a Nigerian poet. From your experience, how do Nigerians view poetry? How do they celebrate it? RM: According to Edgar Allen Poe, “With me poetry has not been a purpose, but a passion.” To my culture, poetry is passion. It is what we do with immeasurable joy in our hearts. It is what strengthens and uplifts us. It is what humanizes us and demeans stereotypes. It fosters unity. A typical example of this unity is the moment when poetry performers at festivals entertain the audience and praise dignitaries. Poetry performances are always included at different festivals. It is also a means of teaching morals and propagating the values of our cultures and traditions. However, beyond this cultural demarcation lies the bigger picture of what poetry entails in my country. Over the years, Nigeria has produced brilliant and inspiring poets. Nigeria has witnessed the high influx of writers using social media to reach a wider audience. These poets have been able to connect with the outside world, to the world afar, to the world that embraces writing and applauds commitment and devotion. We also have budding writers wowing us with their groundbreaking and insightful literary pieces. In their bid to explore and document their experiences and those of others, these writers have been able to read and reflect some of the societal happenings, and they have been able to proffer solutions to some of these debacles. RM: Jumoke Verissimo, Laura Kaminski, Danusha Lameris, Tarfia Faizulla. These poets explore the world in their poems and invite the reader to relish its beauty and cruelty. These poets tell important stories. Their poems are reflections of life’s manifold encounters and struggles. ET: Are there Nigerian poets or poets from other cultures that you feel more Americans should be reading? RM: In Nigeria, the young poets have started a literary revolution. These poets have invaded social media platforms to aid the propagation of their poems. Some of them are transcending boundaries by being published in international journals. They include Wale Owoade, recently accepted by Guernica, the brainchild behind the Expound Journal; Okwudili Nebeolisa, recently accepted by Beloit Journal; David Ishaya Osu, a poet and an editor of Panorama: the journal of intelligent travel; D.M Aderibigbe, an MFA graduate of Boston University, a two-time finalist in Sillerman Poetry Prize, and a poet widely published in international journals; Gbenga Adesina, a joint-winner, Brunel Poetry Prize (2016) and a finalist in the Sillerman Poetry Prize (2017); Saddiq Dzukogi, a published poet, whose books have been shortlisted for major awards in Nigeria. These poets have been able to react to the problems happening in their society. They have been able to project their aches through their writings. Americans should look out for these poets. They are unforgettable through the images they paint. 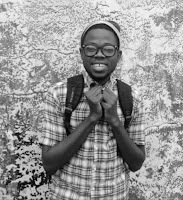 Purchase the issue where Rasaq’s poem appears here. 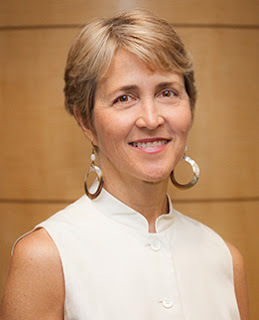 On Tuesday, March 14, meet author and storyteller Noa Baum as she opens this year’s Washington Jewish Literary Festival. Baum combines performance and text from her recent memoir A Land Twice Promised: An Israeli Woman’s Quest for Peace in an unforgettable experience. Click here for more info and a 20% discount on the event. Between December of 2014 and December of 2015, I dove into a whole new world. I always knew that writing was different from storytelling but I never imagined it would be so different. When I write, it’s for speaking engagements, and the written words are just the sketch—a scaffold upon which the story is created as I tell it. When I tell stories about my mother, I don’t need many words to describe her. I use my voice infused with her intonation, pitch, and volume; my facial expressions, gestures and body language. And then the words she says and her personality come alive. But when I sat down to write about my mother, I suddenly had to find words for everything. How does one even begin to describe a voice so central to her entire personality!? This was just one of the challenges during my most fascinating journey of writing. It also included delving into old journals I haven’t opened since high-school; resurrecting old conversation transcripts with my Palestinian friend; and daring to have a conversation with my brother that I never had before. This book is my attempt to shed light on how people experience and remember history. Not all people, just me and one Palestinian woman I met in America and our families. It is the story of our friendship and of my becoming a storyteller and using the art of storytelling as a peace-building tool. In an attempt to explore the elusiveness of peace, I have gathered clues from memory’s secret hideouts to create stories. I try to give shape to the subtle and mysterious shifts in perception on my journey, from the secure black-and-white narratives of my childhood to the uneasy place of complexity where multiple narratives, ambiguities, and contradictions reside. I also try to reconstruct my creative process as a storytelling artist to reveal the transformative power of my art form. My hope is that this exploration will encourage you to deepen and expand your listening to “the other.” I hope it will inspire you to look at your own quest for peace and seek out more stories and encounters with those you see as most different from you or even as enemies. I’m eager to share the fruits of this journey with you all—whether you’ve seen the performance of A Land Twice Promised or not—this book will enrich your experience. It will add more background and details about the lives of Israelis and Palestinians in this entrenched conflict, as well as invite you behind the scenes into the creative process. traced the raisin-shaped scar on her knee. Become a cocoon spinning toward me? Could I use it to tie her to the tetherball pole? She never noticed me once. a reminder never to forgive her. ET: What prompted you to write this poem? SC: I’m often prompted by a word or an image, something random, and in this case, it was noticing someone wearing a skirt that had a thread dangling from the edge. What would happen if I pulled the thread? ET: So, the speaker here is obviously obsessed with their object of desire. Did this come from your own personal experience? SC: This poem is about a childhood obsession with a classmate. I was the object of some of these obsessions, and I had some major crushes myself. I remember a fellow once telling me it was unfortunate that I had cut my leg while learning to shave and noticing when I began to wear a bra. Often these obsessions did not end well, thus the resentment at the end of the poem. ET: Can you talk a little about your poem “Sepia Tones”? SC: The poem “Sepia Tones” that precedes this one in Poet Lore is about domestic violence, and it features a father-figure and a child. In a violent household, there are two modes of experience: when the violence is occurring and the waiting. People often describe the waiting as the more painful of the two modes. I tried to capture this tension and anxiety: how the child watches the father’s fingers. ET: Did you find an emotional release when writing either of these poems? SC: I think not of this poem, but of my poem “The Smackdown” (Atlanta Review). The opening line is: “Maybe I should have saved all the money I spent on therapy and invested it on one big smackdown with my mother.” Even though I am defeated by the end of the poem, I felt something important was released when that poem was finished. Matthew Dickman, Charles Bukowski, Dylan Thomas, Emily Dickenson, Billy Collins, and Ellen Bass. 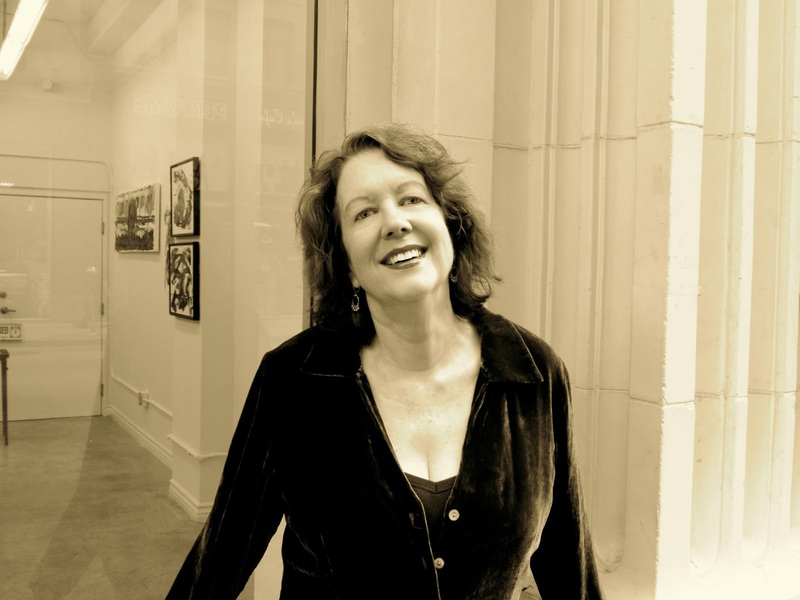 Purchase the issue where Suzanne’s poems appear here. Virginia Hartman has taught writing at George Washington University, American University, and the Smithsonian, and has been teaching at The Writer's Center for the past 10 years. Her writing has been anthologized in Gravity Dancers: Even More Fiction by Washington Area Women (Paycock Press), and she is the co-editor, with Barbara Esstman, of a literary anthology called A More Perfect Union: Poems and Stories About the Modern Wedding (St. Martin’s Press). Virginia's next TWC workshop, Advanced Fiction, begins on March 25. In the interview below, Virginia explains the inspiration behind the course, and how her unique teaching approach will bolster seasoned writers' literary toolkits. What was your motivation for teaching an "advanced workshop"? What sets this class apart from other fiction classes? I had a few participants in my other workshops who were ready to take their fiction to the next level. They had taken several of my workshops and were improving all the time, so a more challenging session seemed inevitable for them. It surprised me, as well, how many other writers were enthusiastically ready for an advanced-level course. The thing that sets the Advanced Fiction Workshop apart is that participants submit work before registering. This is not meant to create an exclusive club, but rather it's a way to assure that everyone is well-prepared before entering the room, and that everyone around the table has more or less the same amount of previous experience with fiction workshops. For this session starting on March 25, the deadline to submit pages is March 10. How do writers know if they're ready for an advanced course? If writing fiction is a consistent practice in your life, if you've received encouragement from previous workshop leaders, if your day doesn't seem complete if you haven't worked on a story, and most especially, if you've taken several fiction writing classes at The Writer's Center or elsewhere, you may be ready. The only way to know for sure is to send in your best five pages. You require students to send a manuscript by March 10th, before the class starts. How does this pre-workshop requirement enhance the experience for students? Here's the feedback I've received. Students are extremely gratified when they feel they're at the same level as their colleagues in the workshop. It usually means that the critiques they get on their work are thoughtful and considered. And because participants are reading complex and interesting fiction from their classmates, each person's ability to critique is sharpened. This then helps them look at their own fiction with a critical eye as they progress. If you could ensure that students leave your class with one "writing takeaway," what would that be? I'm very big on community. It's what The Writer's Center is about. And within my own teaching ethic, it's what I'll call my "prime directive." Because writing is so solitary, when we come together, we absolutely have to support and encourage one another. I always promote the idea that workshop participants keep meeting after the course ends, to carry forward the deadline-giving, the mutually supportive critiques, and in many cases, the friendships that have formed. We just have to ask this question: what's your favorite piece of fiction and why? That's sort of like asking which is my favorite child. So I'll skirt it and tell you instead what I've liked recently, and felt I could really learn from. I read The North Water, a novel by Ian McGuire, which is much more brutal than most fiction I read, and yet I couldn't put it down. I also sank my teeth into Michael Chabon's Moonglow, which is masterfully told, and Ann Patchett's Commonwealth, which I didn't think I was going to like at first, but she does such interesting things with structure that I found myself wanting to follow her crooked path. And I'm a little late to Mary Kay Zuravleff's Man Alive, which came out in 2014, but at times her style feels like Virginia Woolf has come back to life and is writing about a family in Bethesda. It was tasty. Every novel or short story I read makes me a better writer, and I encourage students to have a novel or a story collection on their night table at all times. Click here for more information on the Advanced Fiction workshop. Each student is expected to send the instructor a manuscript of five pages by March 10, and the workshop itself begins on March 25. We hope to see you there! This interview with James Crews is the second interview of six with our pushcart nominees. suddenly unearthed all these memories of my father." homemade tattoos of lightning on his biceps. for mounting. But now, I want it all back. ET: I was very touched by your poem. My first book was an elegy to my father, and, for me, it was important to create distance from the man and search for him in the landscape. In this poem, you seem to turn towards him and find him in his tinkering and his language. The scaffolding of the poem works well in this respect – the memories coming to the surface and attaching to the man who is no longer visible —connecting the audience to this search; and, we suddenly feel his presence in the ultimate line. JC: I'm so glad the poem touched you, and I'm sorry to hear about the loss of your father as well. I lost mine more than seventeen years ago now, but was not able to write about his death, or my ensuing grief, for a long time after. In fact, I took every chance I could to run away from that grief until I finally allowed the time and space in my life to feel it, and thus to write about the loss. As a result of this, so many of my memories of him are fragmented, and return to me piecemeal. So this poem is one of many attempts from my second book, Telling My Father, which will be published later this year by Southeast Missouri State University Press, to feel his presence in my life again. ET: Would you discuss your process for composing this poem? Sometimes, poems that involve grief can be difficult for some people to bring into the world. What was your experience like for inspiration and composition? JC: I wrote this poem during one of the worst winter storms the East Coast had seen in decades. I was living alone in Providence, Rhode Island, commuting to Boston for work, and had never been lonelier in my life. Out of the wide-open white space of that long winter, with a new blizzard each week, I had nothing else to do but face my grief. I sat down one evening intending to write about the crows cawing outside my window, and suddenly unearthed all these memories of my father. This poem is one of the most honest I've written too, because I could finally admit that, while he was alive, I was often ashamed of my father -- the smoking, the taxidermy, those green-striped tube socks pulled up to his knees. But once he was gone, even years later, I would have given just about anything to have all of him back. So this poem, unlike many others, came out in a rush for me that didn't require much tinkering, though I had to trim a lot of unnecessary parts (like those crows). ET: It does seem that this poem is so much about the connection the two of you had. Yet, the memories you conjure do not present themselves as moments of strong emotional connections; though, you explain it is the way that he tried to bond with you – as a man. Now that you have distance from him, it seems that the memories that present as disconnection offer themselves as points of connection. Is that an accurate read? Can you talk about how you tried to play with these notions when constructing the poem? JC: I wonder: did some of the same things happen to you in the course of writing about your father? It seems strange that my differences with my father could bring us closer together after all these years, but they certainly have. When I looked back while writing these poems, I had to ask myself if my father ever criticized me for simply being the way I was, or ever implied that he loved me any less for preferring books to car engines, and he never did. He was, in fact, always quick to point out that he and my mother would love me "no matter what," which I now take as code for: "we love you no matter whom you love." It makes me emotional to write about it even now, but my father -- in spite of the fact that he'd never seen much of the world, had never been on a plane, and never even finished high school -- loved and respected me for who I am. It saddens me that I was never able to come out to him (which is part of the subtext of this poem), but I have no doubt that he knew. ET: I can’t say that this exactly happened to me. But, this is fascinating. In your forthcoming book, do you bring about this subtext to the surface in other poems? JC: Yes, I think the subtext is very close to the surface in the title poem, "Telling My Father" and in "My Father Asks for One Last Thing," among others. But "Halfway-Heaven" is perhaps where that tension is most alive and present. ET: Can you discuss the form of this poem? Why did you decide to use the single stanza with primarily lines ending with enjambment to deliver this poem? JC: The poem began as a prose poem. One of the exercises I often give myself and my students is to write poems in the form of lists so the mind doesn't have time to edit out what you might be afraid to include, and the instruction is simply to let the poem unfold as one long litany. As things took shape with "Halfway-Heaven," I began to feel that the poem would gather more momentum if it was a single stanza with enjambed lines, so I broke the poem where it felt most natural to do so. Quite honestly, much of my writing comes from pure instinct; I try not to overthink it as much as I used to. ET: Do you have advice for poets who write in the elegiac mode? JC: I would say, wait a while. Try other forms. In my first book, I wrote a long elegy about the artist, Felix Gonzalez-Torres and his lover, and those poems were great practice for writing about a much more private grief. But most importantly, I would say: read, read, read, and see how other poets across time have handled the subject of loss. I resisted writing about my father for so long because I sensed that I couldn't do the event justice in my work. I hadn't read enough yet (and still have a lot to go). I needed books like Sharon Olds' The Father, Carol Muske-Dukes' Sparrow, Mark Doty's My Alexandria and James L. White's The Salt Ecstasies (among many others) to get a sense of where I might begin. ET: Finally, Poet Lore published two poems of yours in this issue. The first one “The Question” connects to “Halfway-Heaven” and precedes it in the journal. For our readers who don’t have the issue handy, they both give us a wide glimpse into your father’s personality. If your father read these poems, what would you want him to know? JC: I think my father, who never wrote a poem in his life, and read very few, would be touched and amused that he appears in so much of my work. I hope he would feel honored too, though he would probably laugh and tear up at the same time. I would also try to explain to him, as I have my mother, that memory is always a shaky thing, and my allegiance is first to the emotional truth of an event as it reappears in my mind and on the page. My main goal is to recreate a moment, to take myself and readers so deeply into a charged scene that they emerge changed a little as a result. I do my best to write what I think of as "poems of deep attention," though I often fail to capture the fleeting vision that seems so vivid in my mind. My next collection is dedicated to my father, and I like to imagine him coming out of the garage and wiping his hands on a rag as I hand him the book I wrote for him. ET: Thank you. That is such a lovely image. It’s been a pleasure to ruminate on your poems for a while. Purchase the issue where James’s poems appear here.